I am a big fan of body weight and plyometric exercises. I like to exercise at the gym, but I am a big fan of exercising in my own home. I know a lot of people feel the same, are you one of those people? A lot of my workouts I post are things you can do with really limited equipment. I wanted to share this Total SHRED workout with you that requires no equipment, just the weight of your body ( and a timer which you probably have on your phone 🙂 ). 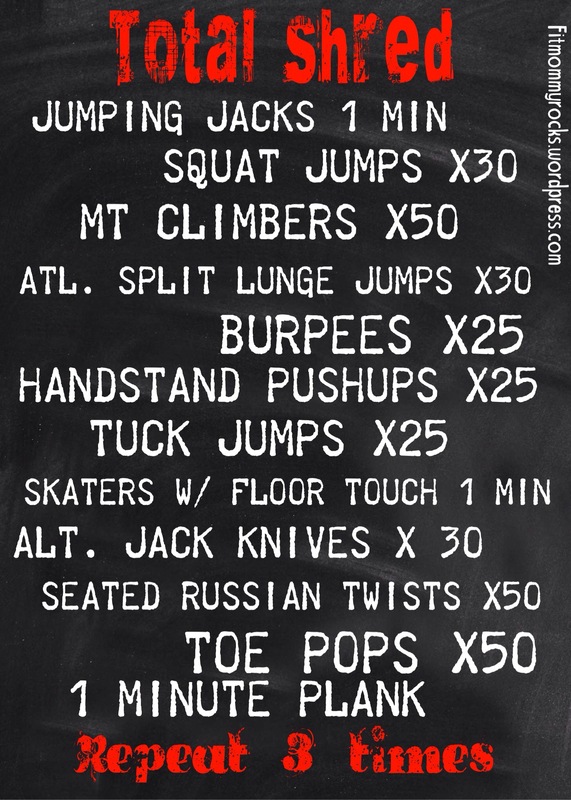 Take a challenge and try this workout! You might want some water and maybe a towel close by! You can change the reps according to your fitness level. But don’t cut yourself short ! !